Seated in his living room and in front of a warm fire he recalls the people and events that inspired his thought and shaped his life; of his friendship with J R R Tolkien; why he nearly abandoned the Narnia Chronicles; how he came to embrace Christianity and of the American woman who turned his life upside down. 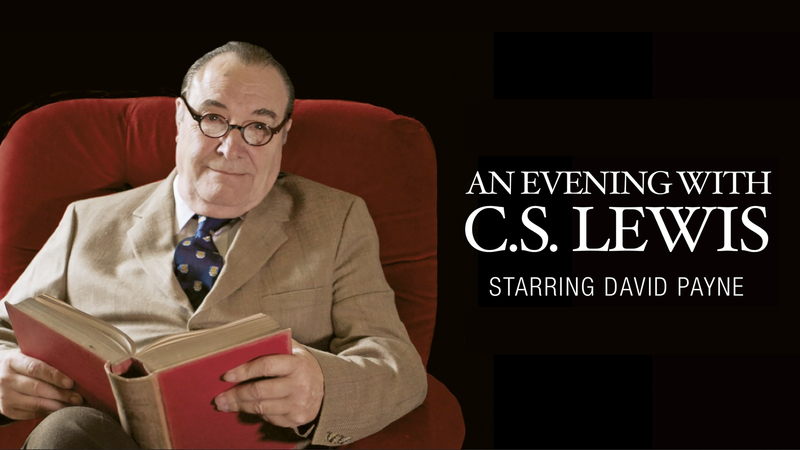 Described by critics as ‘Extraordinary!’ ‘A Must See!’ ‘A Master Class!’ An Evening with CS Lewis has proved again and again to be an enthralling theatrical experience and one which has led many thousands to discover (or rediscover) the continuing impact of a man who died over 50 years ago and whose collected works made him one of the literary giants of the 20th Century. Tickets are $20 and on sale online or in the Boomer/Sr. Adult Office beginning on Monday, April 8. Price includes dinner and program.